Whether working on your own or in a team NOW more than ever we need to innovate to weather these difficult times. And our creativity is the answer and your team is your best resource. 1) Create the space for exploration. Do warm up exercises that gets you out of left brain and into right brain creative thinking. Google Right brain exercises OR Email me and I can give you a couple of good ones. 2) Allow mistakes in a team building session. At The Second City Theatre we taught people they could make mistakes. Ideas are basically just flickers at first but they need affirmation to shine in the world. You’ll figure out logistics later. 4) Use Mindmapping and Bubbling Techniques. This is writing exercise that is good for a quieter group who might be able to write their ideas better than say them out loud. Again Google mind mapping. Or email me for the Bubbling Technique I use. 5) Set a time limit. Ideas and solutions will come faster and better if they are contained by time. It forces people to produce something. Half an hour is a good time to get some thing going. 6) What goes on in the brainstorming session, stays in the brainstorming session. Keep your creativity sessions sacred. Do you have ideas you use to brainstorm? If so, please click here. We’d love to share the ideas. 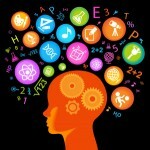 THIS SUMMER I am offering my new: BRAINSTORMING IDEAS INTO REALITY- as a keynote or 1/2 day team building workshop. Minimum 10 folks. BOOK NOW. Have a secret desire to be a writer? My coaching programs can help!